By Michael Poh in Culture. Updated on November 10, 2017 . 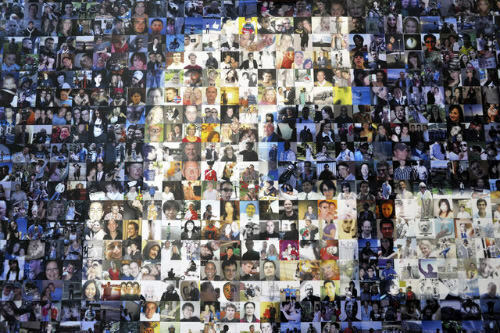 According to Facebook’s Newsroom, Facebook now has 901 million accounts (as of march 2012), with more than 500 million who are active on a daily basis. That’s an impressive figure considering that Facebook was only founded in 2004. One can’t help but wonder what is it that makes Facebook such a popular and successful social networking site. 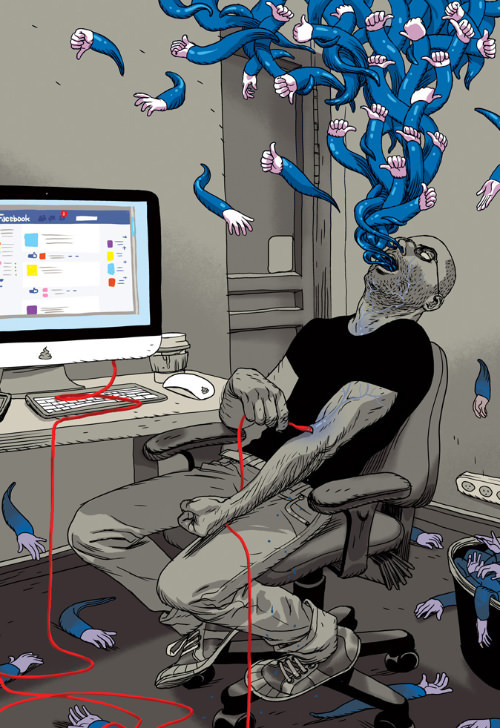 It has even gotten to a point where people could get addicted to Facebook, an unofficial condition known as Facebook Addiction Disorder (FAD). If you’re a Facebook user like myself (and like the majority of internet users), you’ll know that there are all kinds of status updates out there on your newsfeed. It ranges from the type where the user tells you what he or she is doing at the moment, to random philosophical musings. Then there are users who try to be mysterious with their updates and get everyone guessing about what they meant, or those whose updates are simply complaints about their lives. 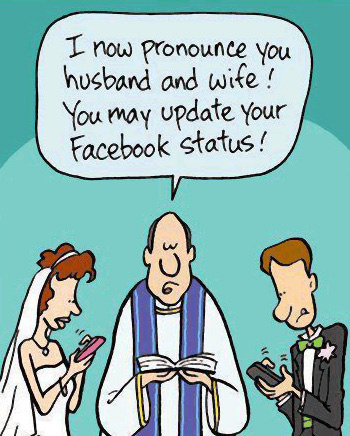 Status updates can be just about anything under the sun! To ask why would anyone think people care about their updates is to ask why do people want to talk and communicate with others. We’re, after all, social beings who wish to connect with the rest of the world. The satisfaction comes about when our statuses get acknowledged, or even better, ‘approved’. Deep inside, we users know that each time we update our statuses, many of our ‘friends’ will get to see it and possibly react to it. It is this awareness that makes us want to shout out (in fact, status updates used to be known as ‘shoutouts’ in Facebook) our statuses. Thereafter, it gradually becomes a conditioning process where the user gets rewarded with acknowledgment and approval each time his or her status receives feedback from ‘friends’. As the saying goes, "Do unto others as you would others do unto you", the concept of reciprocity is very much at play here. It becomes a mutually dependent relationship in which both sides will keep getting the same fulfilment from ‘liking’ and commenting on each other’s posts. Reciprocity aside, you must be wondering aren’t there times when we genuinely like another user’s post because it is meaningful, witty, etc? Indeed, most of the time I feel I respond to posts I like and not because I want the other user to respond in kind. The point I’m making is that sometimes it’s not easy to determine our truest intention from time to time because all these may occur at a subconscious level. Why can’t we just look at their witty posts, smile, and be done with it? Why do we have to ‘like’ or comment? There’re no straightforward answers. With the proliferation of smartphones in recent years, users are turning to the Facebook mobile app to engage in their activities. One activity that is a trademark of the Facebook mobile app is that of checking-in, due to smartphones possessing GPS and thus meant to be used on-the-go. 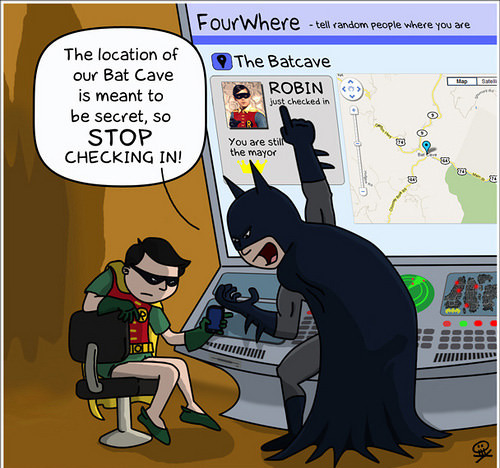 Checking-in carries a substantial risk of becoming (in extreme cases) a victim of stalking in the offline world. The intriguing thing here is that even though Facebook users are aware that their privacy is at stake, they are still willing to compromise them just to share with others their present location. This begs the question: What kind of satisfaction do we get when we tell others where we are right now and where we’ve been to? As it is with all other updates or posts on Facebook, the places checked-in by the user show others what type of person he or she is. Yet, checking-in is a different level from status updates, commenting or ‘liking’. Checking-in is an action because you have to be there physically (that is, if you have been truthful), so there is actually a sense of achievement when you are where you say you are. After all, action speaks louder than words. There are other legitimate reasons for users to want to check-in everywhere they go. Some like to keep records of where they’ve been to and look back at the adventures they had, as if marking their accomplishments and seeking gratifications from that. Others leverage on the ability to locate ‘friends’ who are around the vicinity and to let other locate them as well. They say a picture is worth a thousand words. Indeed, nothing says more about you on Facebook than the photos you use as your profile picture and cover, and the photos you post on your wall from time to time. In fact, if we compare checking-in and posting photos, the latter is an even more substantial proof for what it is you do (unless you doctored the photos). Words are just words in your status updates, check-ins can also be fabricated, but photos? Least likely. When we share our photos with other Facebook users, we are showing them the type of person we are in the most believable way. From a psychological point of view, revealing photos of ourselves in action is a form of impression management, in which we try to influence the way people see us. In essence, we portray ourselves in a manner that we want others to see us in, and in most circumstances, to get people to like us. Perhaps we want others to see us as cool, humorous, etc so we post ourselves with a certain fashion statement or show what we did etc. If you want to keep it real to your ‘friends’ on Facebook, posting photos is probably the best way to do it. If you value your privacy on Facebook, here are 5 Facebook Privacy Settings You Should Know and for the selectively private, 7 Ways to Manage your Facebook Wall Feeds Better.